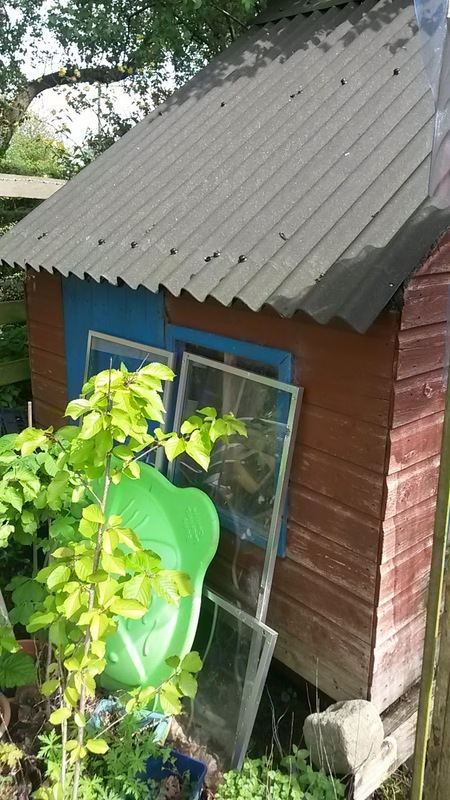 We bought a second hand playhouse when William was about 4, both boys enjoyed playing in it but after 10 years it was looking a bit tired and in desperate need of some TLC. 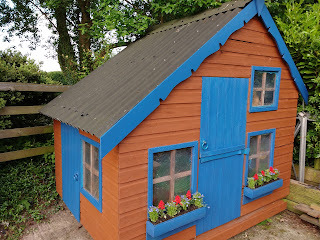 The playhouse is at the bottom of the garden and the area around it has become a little neglected and more of a dumping ground for old pots, sandpits and wood so when Ocean Loans contacted me about their Pimp My Shed project, I decided it was a good time to spruce up our playhouse. 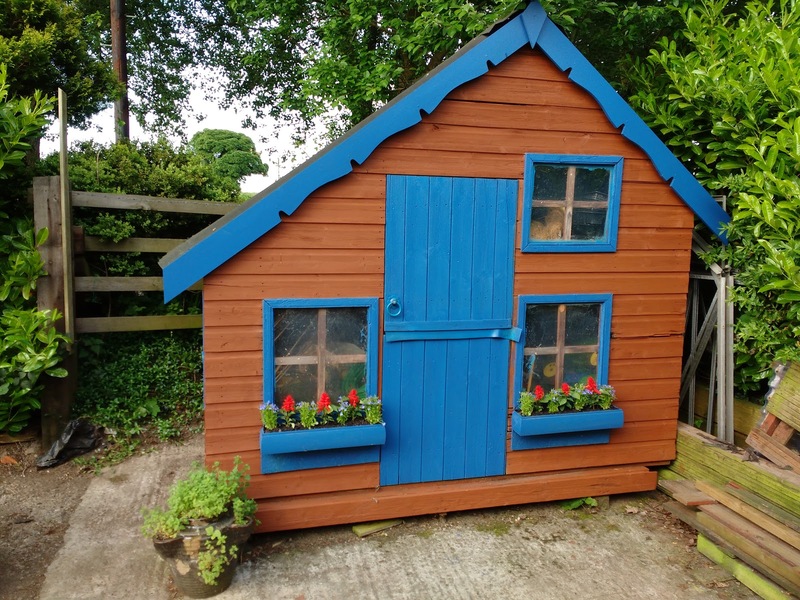 The brief was to give your shed or garden furniture a revamp on a budget to show just how much difference you can make with a lick of paint and some new accessories. Now the warmer weather is here it was the perfect time to tackle the project. I roped William in to help and we started by clearing away all of the rubbish and then we made a trip to Berry's, our local DIY store to get paint, paintbrushes and timber to make the new window-boxes and barge boards. We also bought some weather board to replace a few damaged and rotten boards. Mark replaced the boards and then we were ready for painting. 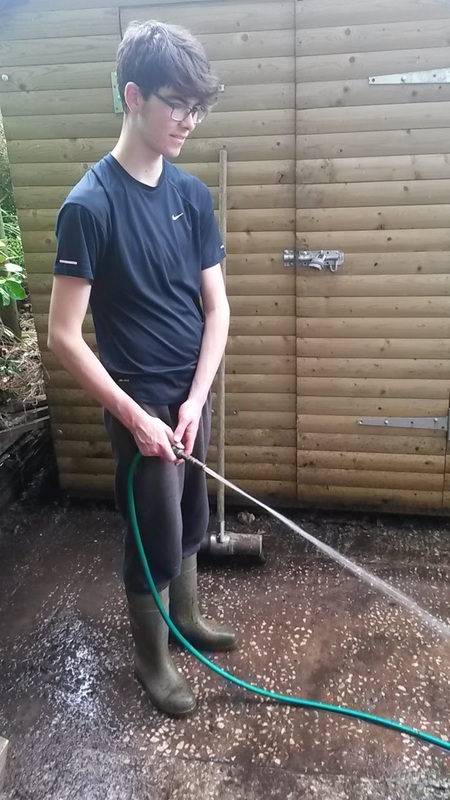 William helped me to paint the shed, it is a long time since it was painted and it took three coats of paint. Luckily it was a really hot day so the paint dried incredibly quickly. 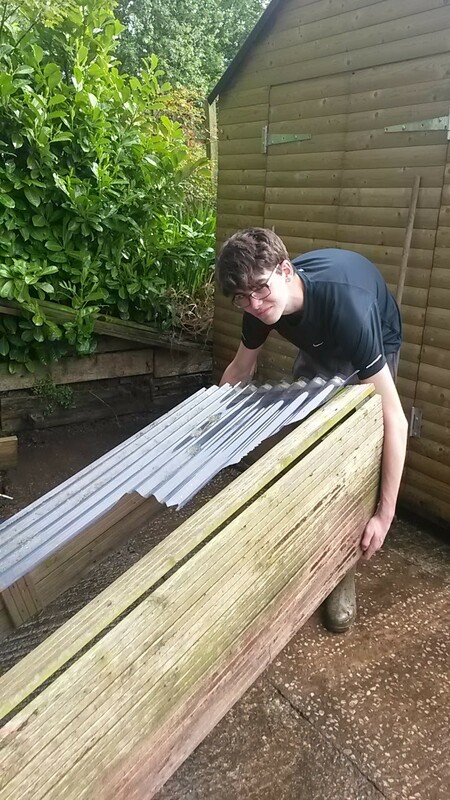 Whilst we were painting Mark started making the window boxes out of timber. He also cut the new barge boards and added a patterned edge to make it look nicer. 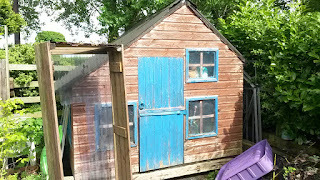 We painted them blue to match the door and windows. The window boxes were painted blue as well and I lined them with black plastic to keep the wet soil off the wood which will make them last a bit longer. I went to a local nursery to buy some plants to go in the window boxes, I decided that red and blue flowers would look nice in them and they really smartened up our shed. I also bought some herbs for the planter at the corner of the playhouse and we will be able to use these herbs for cooking this summer. Here is the finished shed, it is amazing how much better it looks after a coat of paint and a tidy up. I was really surprised how quickly we did it and it looks like new again! 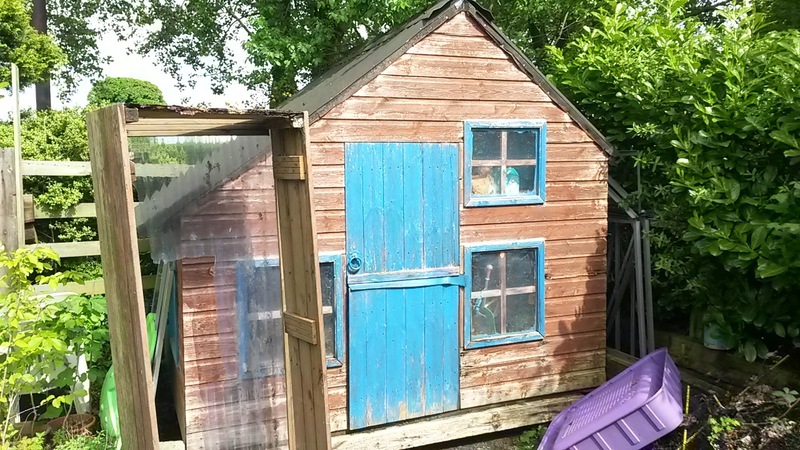 Thank you to Ocean Finance for giving us the motivation to bring new life into our playhouse.